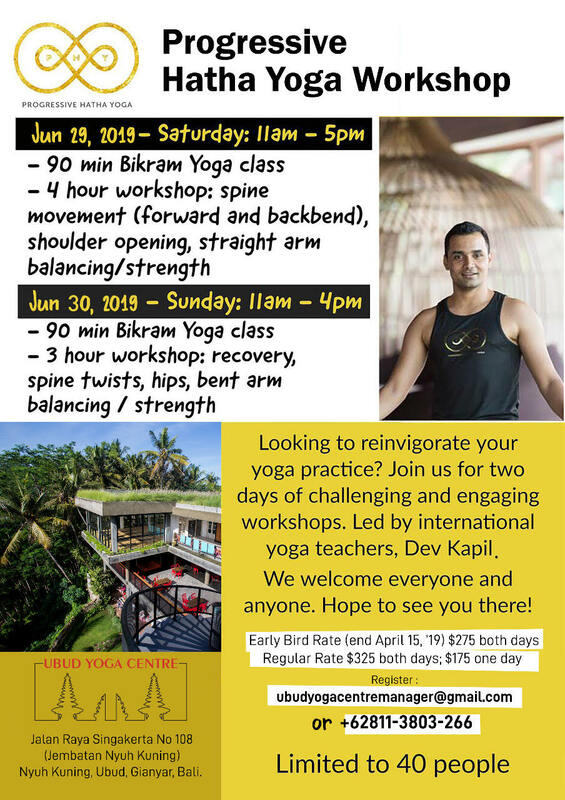 Join Dev Kapil is this June for a 2 day Comprehensive Yoga workshop, a One of a Kind Event! 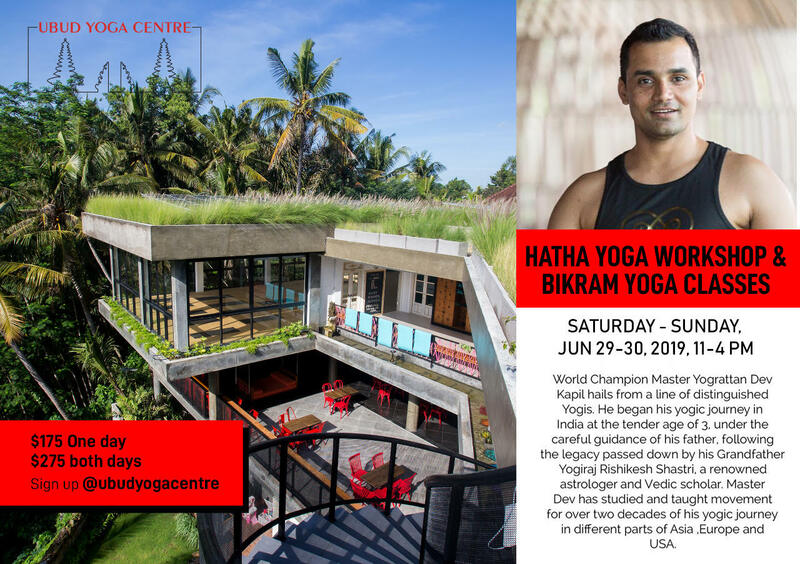 Following a 90 min-Bikram Yoga class, these 3-4 hour workshops will refine / deepen your knowledge and practice of hatha yoga through targeted exercises to build strength and flexibility. We will guide you with hands on adjustments on physical practice to help you take your postures to the next level. This is also a good opportunity to come with questions about your practice. Be prepared to sweat, laugh and stretch your way to a stronger practice. The workshop will be limited to 30 people, making this an intimate experience. 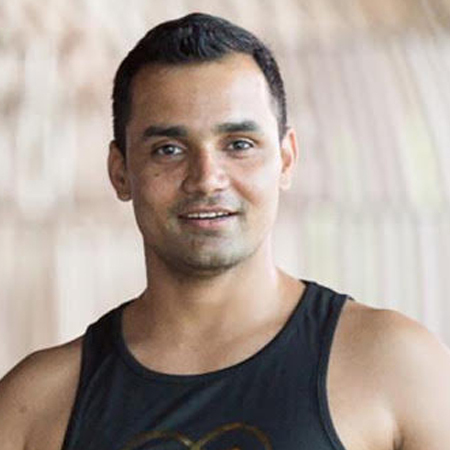 World Champion (2008-9) Master Yograttan Dev Kapil hails from a line of distinguished Yogis. He began his yogic journey in India at the tender age of 3 years old ,under the careful guidance of his Father Shri M.R Pareek, following the legacy passed down by his Grandfather Yogiraj Rishikesh Shastri, a renowned astrologer and Vedic scholar. His spiritual journey was initiated by Guru “Veet raag Tapomurti Brahmrishi Danditt Swami Laksheshwarashramji, ” who is revered by Shankracharyas throughout India, and Yoga charyani Krishnamurthi, a renowned yoga teacher and Yoga Arjuna Awardee. Master Dev has studied and taught movement for over two decades of his yogic journey in different parts of Asia, Europe and the USA. He explored many styles in Yoga focusing primarily on Hatha Yoga. Master Dev holds Diplomas in Naturopathy and a Master degree in Yogic Science. He also has extensive knowledge of Ayuveda and Astrology. 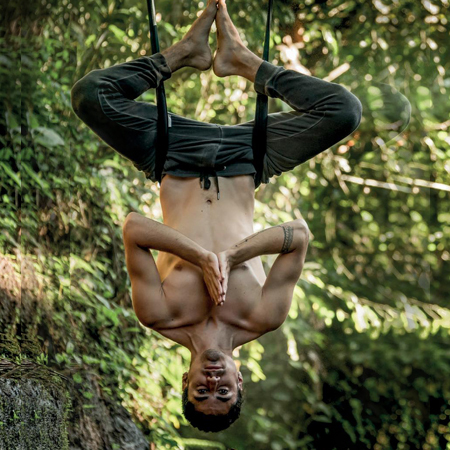 As he enters a new chapter in his life, Master Devʼs focus will be to expound the plentiful benefits of the yogic way of life and guide yogis and yoginis to be steadfast on their yogic path.